Walken in Short: He is ‘Don Stevens’, a world-weary journalist, that has been called in (like a substitute teacher) for the guy that usually covers Beirut. He’s the lead, and he’s…pretty much a normal guy. All around him people are dying and killing and conspiring, all for their beliefs. Their culture, patriotism, whatnot. Everyone’s a fanatic in this, but then Walken comes to town: low-key, reasonable, doesn’t enjoy violence, cynical about some things, gullible about others. He tries to float by, doing the bare minimum until he can leave, but he soon gets caught up in the madness. Walken’s performance is filled to bursting with idiosyncratic mannerisms and terrific reactions to the insanity that’s happening all around (and sometimes to) him. 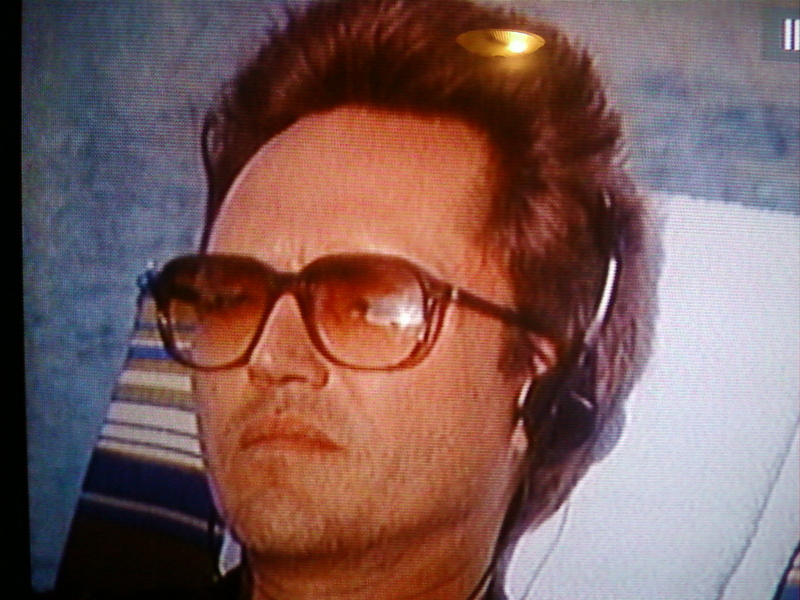 Movie in a Sentence: Finding “news” is a dangerous job for an American journalist (Walken) in Beirut in 1982 right after the Lebanon War. MPAA Rating: ‘R’ – To say that distressingly-high numbers of people die at the end, would unfairly give the impression that a whole heck of a lot of people did not also die in the beginning. Oh and in the middle there as well. I believe there are conversations that occur in betwixt the slaughter, but yeah it’s pretty much ‘killing’ throughout. Hywel Bennett plays the cheeky Brit journo who acts as a bit of a guide for Walken when he arrives. Great voice, interesting face, and I liked his and Walken’s interaction. 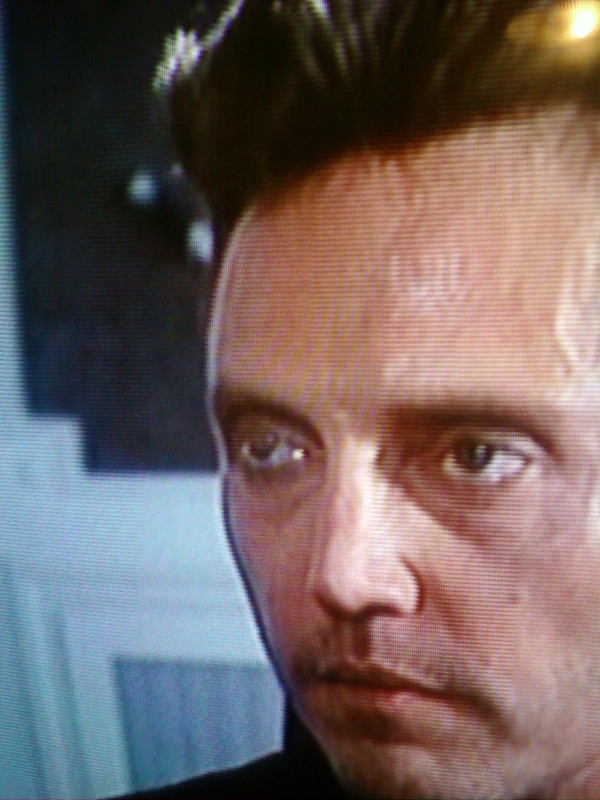 Martin Umbach is Bernard, Walken’s constantly complaining cameraman. We get him in small doses, so it’s fine. Marita Marschall is the possibly duplicitous Swedish nurse. Nothing about her look, her part, nor her performance knocks me out, but she does alright. Kinda meh. Available to Own: Pretty cheap on DVD or VHS if you can find it, but there is no blu-ray and admittedly not much hope of one. Similar Films: THE YEAR OF LIVING DANGEROUSLY (1982) seems like the closest thing to this, though I’ll be honest and admit I’ve never seen it. 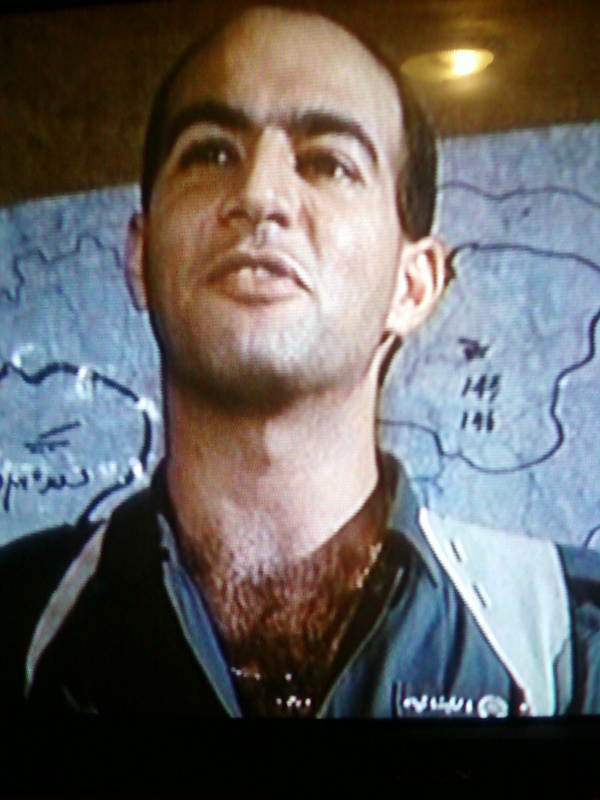 It starred a young Mel Gibson as a headstrong and randy journalist engaged in several moral and ethical quandaries over in India during similarly violent political and civil unrest. I might also point out the 2006 film BLOOD DIAMOND with Leonardo DiCaprio. He’s not the journalist in that, but still, pretty similar plot and tone. I’ll also throw the movies CHINATOWN and APOCALYPSE NOW out there. Now, WITNESS isn’t in the same league as either, not by a long-shot, but I can see all kinds of similarities. CHINATOWN: mistaken identities, powerful people pulling strings behind the curtains, and Jack Nicholson’s character and Walken’s share a mellow but stubborn kind of vibe. At one point someone says to Walken the equivalent of the “Forget it, Jake. It’s Chinatown.”-line, but y’know: with Beirut instead. APOCALYPSE NOW: the madness of war, how some people thrive in that environment, duty, justice. It’s one man’s journey through a war-torn country, meeting a cavalcade of kill-crazy nuts, and questioning the value of his presence and the price of his participation. 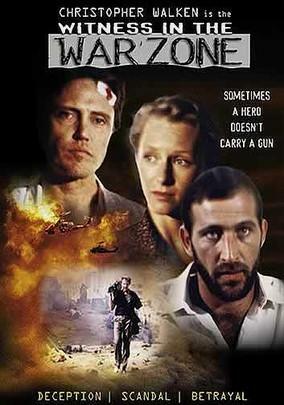 Also, I should mention THE DOGS OF WAR because it stars Walken as well, and in it he spends a fair amount of time in war-torn Africa posing as a photo-journalist, and his character has a similar flavor to this one. 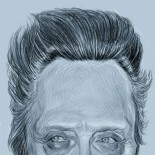 Walken Content: 70% – Walken brings so much to the table. He is both funny and emotionally moving. When he acts scared, I SEE it, I feel it. His reactions are completely organic. They grow out of the moment, as they happen. He really is a joy to watch in this. Walken Quote: There’s a scene near the beginning where he’s lying in bed in his hotel room watching TV, smoking what I assume is a joint, and he gets a call from Jerry, his editor. The editor is furious that Walken’s been doing a Hunter-Thompson. He’s just been hanging out, eluding sobriety, and playing backgammon with the hotel bartender instead of filing reports and covering the news. Hello Room-service? Coleslaw for Everyone! Angry boss? 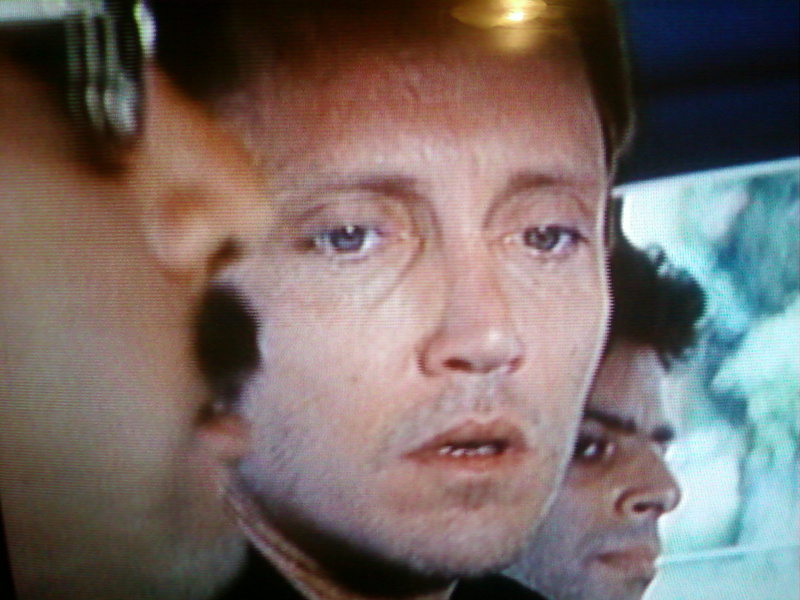 Walken goes into smooth-talking survival-mode, which actually sounds like George Costanza from Seinfeld. His voice goes up into a higher register, gets a bit WoodyAllenish, and he sounds all “heyyyyy!” like they’re old army-buddies. These (…) are 2-second pauses for when Jerry’s talking. 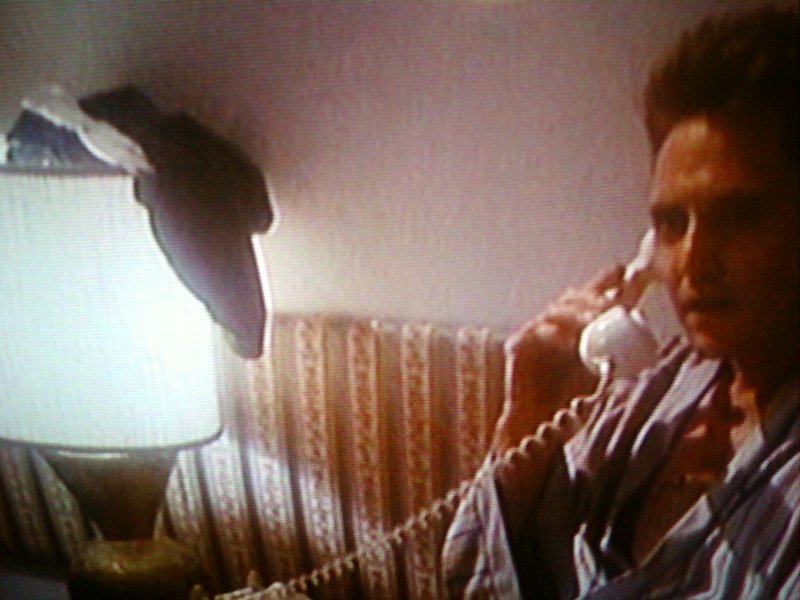 The director was wise enough to stay on Walken the entire time, so you never even hear ‘Jerry’, you get a pure unadulterated Walken phone call. Apology: The crappy quality of the photos in this post are my fault. But I blame the internet for not having anything available for me to use, and forcing me to make my own. Walken Quote (Round 2):I want to add this this little speech of Walken’s because it’s awesome, it deserves recognition, and because I can. The cameraman’s responses have been parentheticalized for your convenience. None of these guys are Bernard. I just liked this picture more. Should You Watch This? The level of yes-ness in the answer exists in direct relation to your love of Walken. Objectively, as a movie? Ehh. Not so great. The whole thing is pretty uncomfortable. It’s grim, confusing, and not terribly exciting, despite the high body-count and the myriad of bad-guys. Yes, it lacks many things. But it does have its quirky charms, oh yes it does have those, and if you enjoy watching Walken patiently inhabit a complex character, within a film that gives him ample room to stretch out and explore it, then yes it’s well worth a gander. This is exactly the kind of film that I wanted to find through my comprehensive exploration of Walken. I would have never bothered to see this movie if I weren’t following Walken’s work so closely. The whole Middle East-thing, politics, journalism, religion, religious war, melodrama. None of that is really anything I go out of my way to watch. 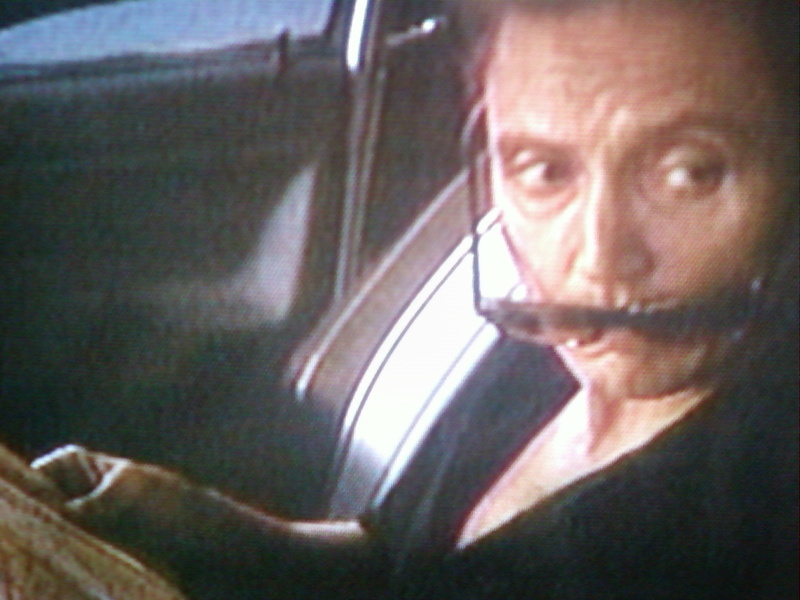 But then I would have missed so many great Walken moments. He does a jig. He steals some fruit. They bust his nose. 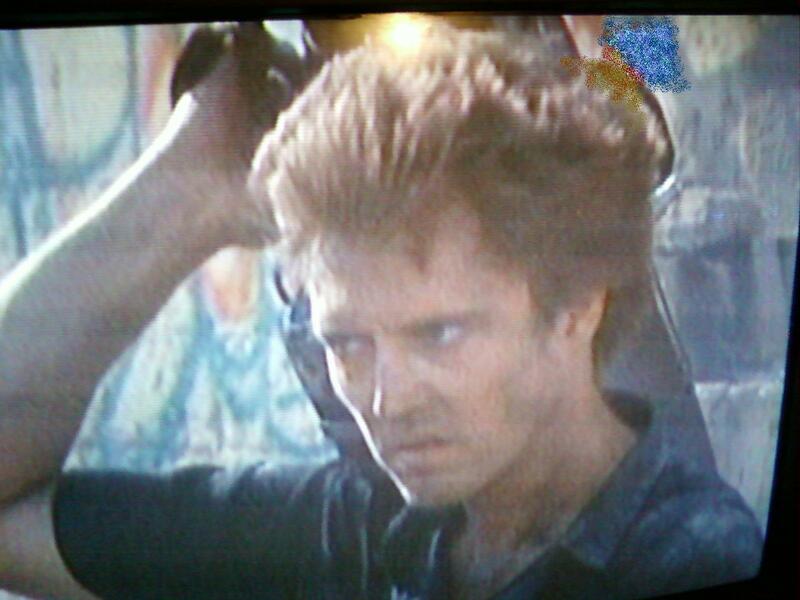 He runs towards the camera away from gun-fire, but Walken makes it look like he’s angrily dancing rapidly at me. He croons a random yet awesome song for ten seconds into a mini-recorder, just because he’s bored and that’s what he does. Don’t watch this if you’re going to take it seriously as an action-thriller. Do watch this for the Walken. The Year of Living Dangerously is worth it. From your description of this Walken film I can attest there may be more similarities albeit no Walken. Good to know, I’ll check it out. This entry was posted on November 20, 2012 by Something Something (todd) and tagged aka Deadline, Beirut, Don, drama, Hywel Bennett, journalist, lead, Lebanon War, Middle East, Walken Film Review, war.